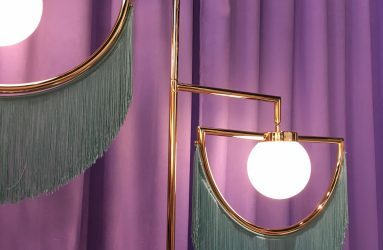 Interior Trends From Maison et Objet 2019 | The Decor Cafe | Interiors. Gardens. Lifestyle. Home business. 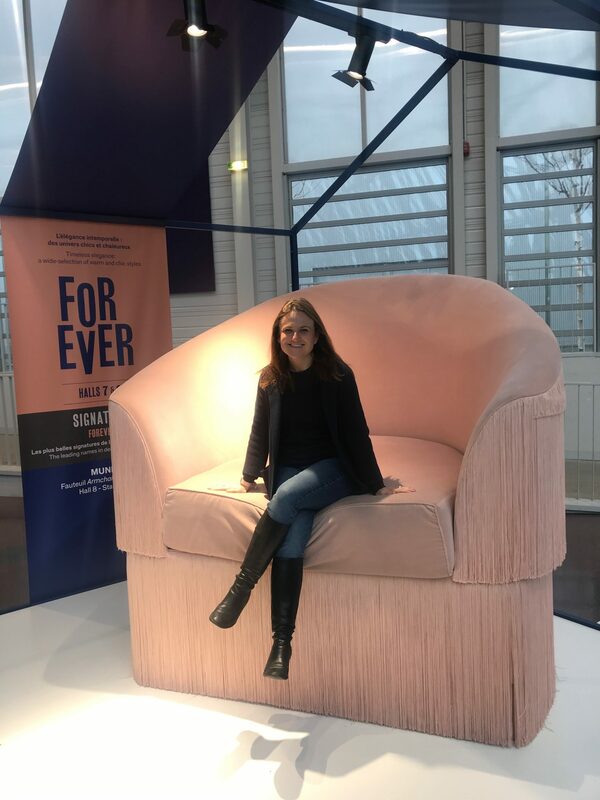 On a chilly Sunday at an unsociable hour I boarded a flight with the most stylish people I have ever seen so early in the morning, all ready to see the latest trends on offer at Maison et Objet in Paris. 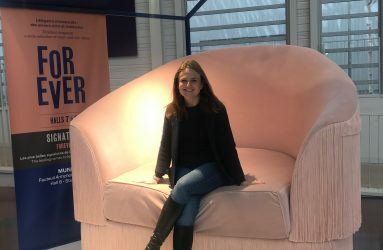 For me, Maison et Objet is all about soaking up different colour combinations and textures and discovering new and interesting brands for my interior design projects. The show is a visual overload with so much to take in. 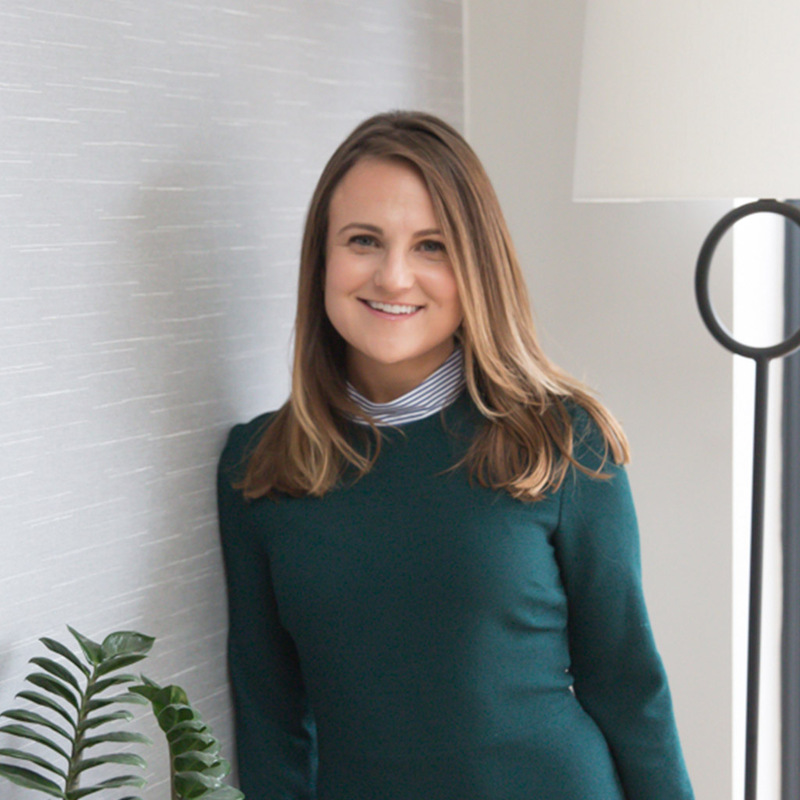 I walk miles and focus hard to help me to separate the transient trends from the beautiful interior ideas that translate into gorgeous homes. Earthy neutral tones are taking over from grey. Warm rust, blush pink and shades of green feature strongly. Upholstery and accessories are textured and interesting. 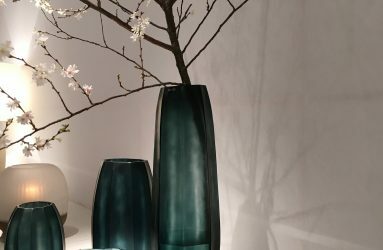 The emphasis is on comfort with a softer focus. 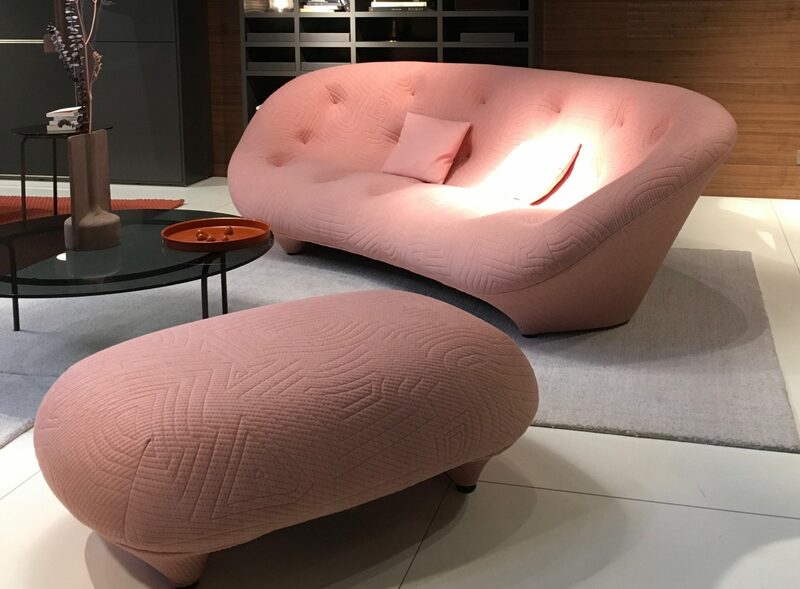 The Ligne Roset new furniture line was one of my favourite examples. Impossible to resist sitting on the velvets, boucle and cord. 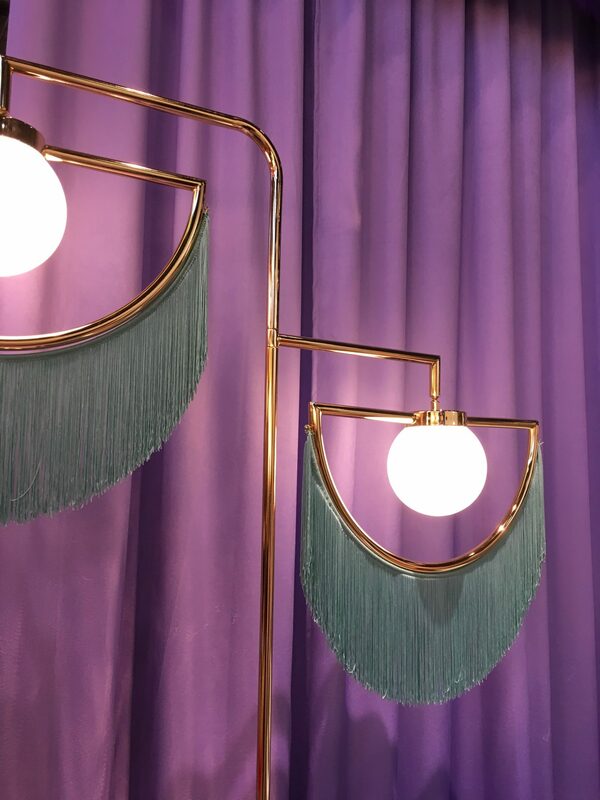 Lighting features tassels, is wrapped in fabric or is woven from coloured plastic. Curves were everywhere, the L-shaped corner sofa has been updated with a curved radius. Arms and backs of arm chairs and sofas are rounded and teamed with clusters of round coffee tables overlapped in different materials. 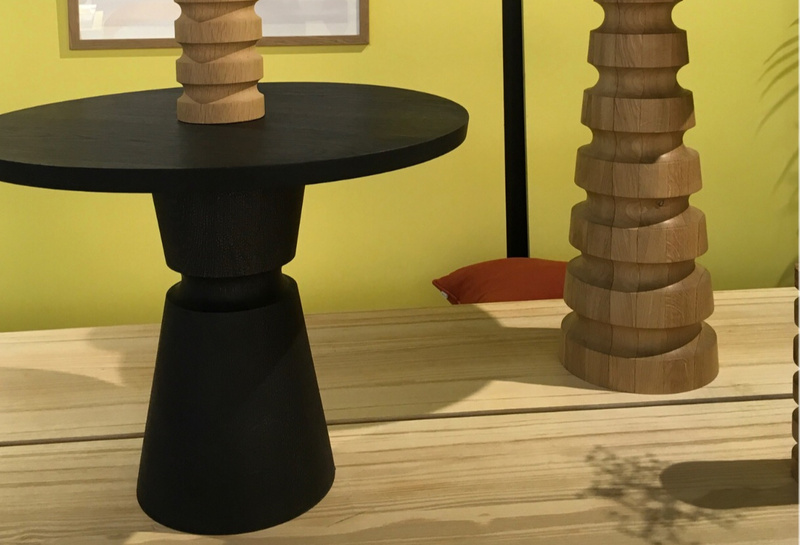 I was instantly drawn to the stunning round side tables from British furniture designers Galvin Brothers. Their handcrafted furniture in natural Oak is beautiful. Natural wood and materials have always appealed to me and it is great to see this trend getting stonger every year. Treku, above, is my top pick for side units and storage furniture. 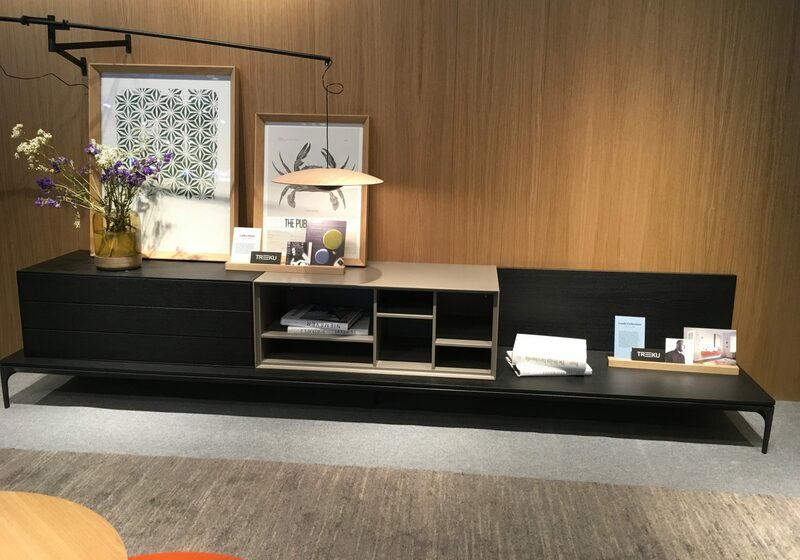 Ercol’s new #Voncollection featured pale and black painted wood which looked stunning on the blush pink stand. Laminate furniture was a mix of woods and contrasted with bold solid colours. Cane is cool again, with the return of the 70s colour palette. 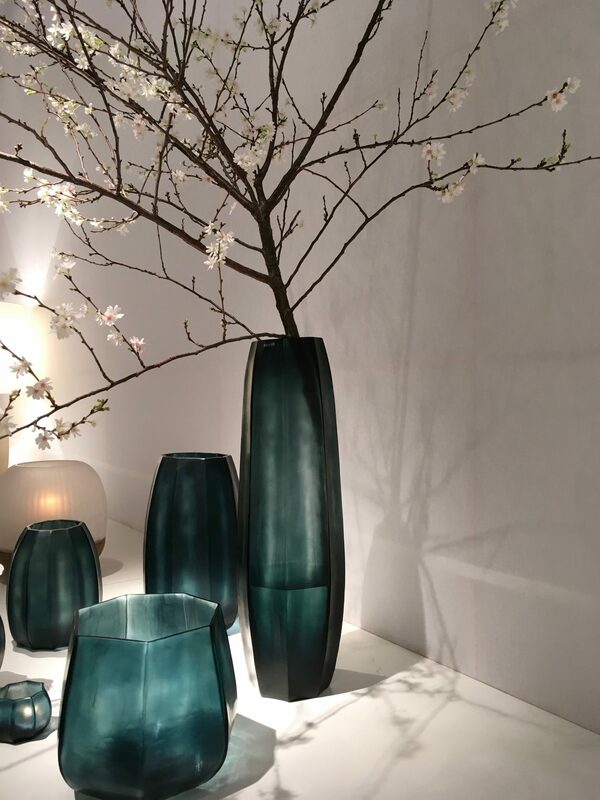 Designers are creating new ways to use this material for seating, lighting and storage. I loved the Chair 118 designed by Sebastian Herkner the designer of the year. Sebastian shared the caning process with a fabulous exhibition of unfinished furniture. The Eno Studio stand was the most visually exciting stand at the show. 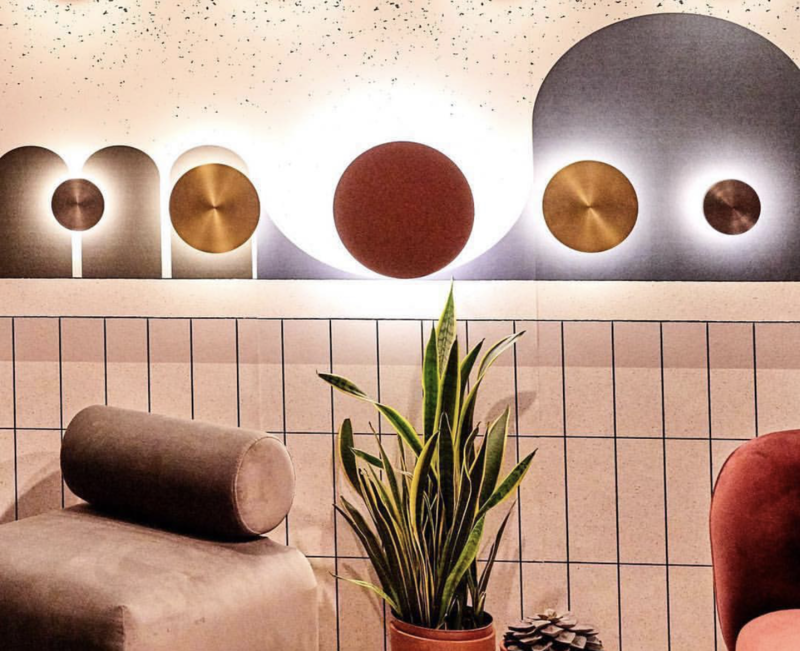 With a back drop of terrazzo, the most sort after tile in bathrooms at the moment, their stand seemed to effortlessly blend together all the big trends in an authentic way. After many steps, far too much Haribo and a little red wine at the airport I came away with a selection of lovely brands I hope to collaborate with and a few ideas I can’t wait to develop. I hope this brings you a sense of what is new and interesting. You might want to pay a visit to your grandparents to see if they have the odd cane piece knocking around that you could update, I found a gorgeous original peacock chair in a skip I must find time to renovate.